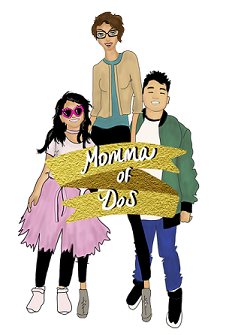 Momma of Dos: Are we there yet Thursdays? Are we there yet Thursdays? Thursday was a hectic one. I have to work... Mayoral Election in Houston. We have a nephew's 1 year Birthday paryt we want to try to get to. We have a Rosary to attend; as Catholics on the 12th of December we honor and celebrate la Virgen de Guadalupe! La Gudalupana!!! Viva! We want to get some rest in and clean our house. I also want to finish decorating my house. We also have to plan for buying Christmas presents...it's a tight budget but God will be with us. My week has been...hmmmm..productive. I think that by this weekend I will have all my Christmas cards mailed as we are starting to receive some and my husband is panicking! It has also been a week of revelation to say the least. New hearts mended and old ones at peace. I like where I am going and hopefully next week will be better. In the mean time...I have to finish this week off and pray that I don't lose my mind from the exhaustion!